The city that's called The Big Apple the world has inspired some of the most memorable music ever written and recorded. From Frank Sinatra’s “New York, New York” to Jay-Z's “Empire State of Mind,” songs about New York City span genres and generations. While this song is often credited to ’Ol Blue Eyes, it was originally written for and performed by Liza Minnelli in Martin Scorsese’s 1977 film "New York, New York." 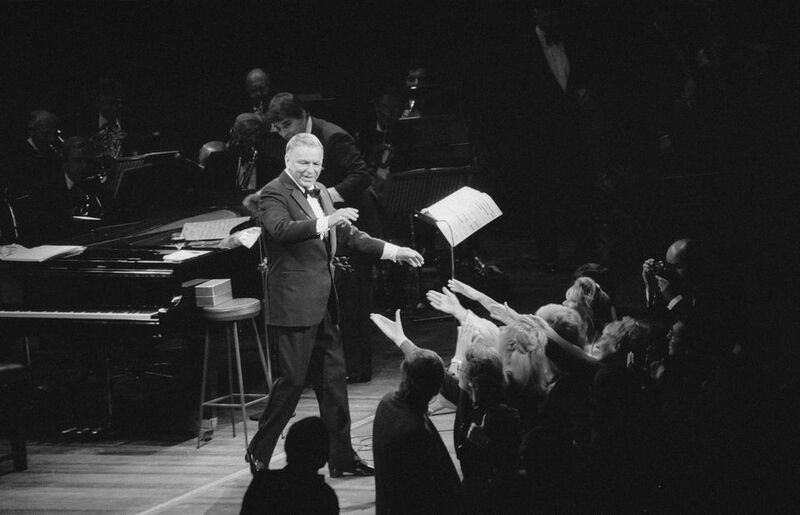 Sinatra recorded it two years later, but since then his rendition has become the unofficial anthem of New York City. The upbeat orchestration and nostalgic lyrics (“I want to be a part of it...”) make it a must sing-a-long song for New Yorkers and visitors alike. Recorded in 2009, Jay-Z’s huge single quickly became a favorite of New Yorkers, hip-hop lovers or not. The only problem with the track was the level of inundation at NY sports stadiums, radio stations, and any public event expressing NYC pride, which left even some Jay-Z fans tired of his hit. Still, with Alicia Keys’ awe-inspiring chorus, the track’s excellent production, and Jay-Z's aptitude for rhyming about his hometown, there are few better ways to get bar patrons celebrating their city than playing this song loudly. You can tell by his attitude, Jay-Z is most definitely from New York. Dylan also talks about the downside of NYC living, similar to his “Hard Times in New York Town,” in which he comments about urban poverty, social isolation, and the difficulty of moving from the country to the city. While Joey Ramone Place is at the corner of the Bowery and East Second Street outside the old address of CBGB, the corner of 53rd Street and Third Avenue is forever immortalized on The Ramones self-titled first album. The lyrics by bassist Dee Dee Ramone allude to a spot in Manhattan known for male prostitution in the 1970s. Today the corner is cleaned up, but the bare bones punk of “53rd and 3rd” continues to recall a grittier aesthetic in NYC history. This song was covered by Aretha Franklin and the Mamas and the Papas, but the 1961 original sung by Ben E. King (formerly of The Drifters) remains the most memorable version, a result of King’s resonant vocals and the catchy orchestration, including Spanish guitar and marimba. The red rose growing in Spanish Harlem refers to a woman who only comes out at night, mysterious, “but soft and sweet and dreaming,” the city personified. The song is a mix of musical styles, a melting pot tune that topped the charts when Franklin re-recorded it in 1971. While some fans claimed self-censorship, The Strokes are known to perform the song live (including in NYC), despite the refrain’s taunt at the NYPD. The riff is too good to stop playing the song over some socially sensitive lyrics. “I remember you well in the Chelsea Hotel,” Leonard Cohen croons over his guitar, lamenting lost love and isolation in the infamous NYC hotel, which roomed countless artists, poets, and musicians. The Canadian singer-songwriter tells us of a less-idealized New York through his signature morose poetry and longing monotone. The Chelsea no longer accepts hotel guests, but it’s still the home of full-time residents and remains an inspirational NYC landmark. The iconic photographs of Lennon wearing his New York City T-shirt or flashing the peace sign in front of the Statue of Liberty are probably better known than this track. Surely, the Strawberry Fields memorial in Central Park, which pays tribute to Lennon, is more popular than this song. But in between chants of “New York City” and “Que Pasa, New York?” Lennon sings the city’s praises and tells the story of how he and Yoko came to make NYC their home. This fast-paced rock song is Lennon’s ode to New York. Jones, originally from Brooklyn and a New Yorker still, knows about the degrees of separation that can form between residents of different boroughs, lovers or not. From Gil Scott-Heron’s 1976 double album with Brian Jackson, this soulful jazz track has a groove as smooth as the vocals “New York City/I don’t know why I love you/could be you remind me of myself.” The bossa nova-like breakdown comments on the multicultural makeup of NYC and then ​comes back to a bluesy piano-horn-bass-drums concoction, subsumed by Scott-Heron’s poetic words.